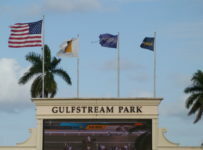 The victories by Itsaknockout on Thursday at Gulfstream Park and by El Grande Rojo on Wednesday at Tampa Bay Downs were New Year’s week highlights at Florida’s thoroughbred tracks. Itsaknockout won a one-mile allowance in a dominant way that indicated he will be a top contender in stakes races such as the $500,000 Donn Handicap (Grade 1) on Feb. 5. 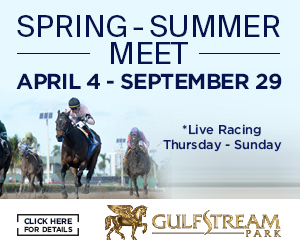 The Donn, at 1 1/8 miles on dirt is Gulfstream’s richest race for 4-year-olds and up. 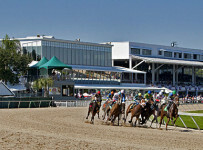 El Grande Rojo tied a Tampa Bay Downs track record when he won a seven-furlong optional claiming race in 1:21.40. Itsaknockout (photo on home page) ended his 3-year-old campaign with a 4 ¾ length victory over Elnaawi in the fast time of 1:35.02. 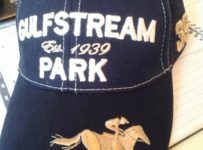 It was the fourth victory in six career starts for Itsaknockout and first since last Feb. 21 when he won by disqualification in the 1 1/16 mile Fountain of Youth (Grade 2) at Gulfstream. Upstart came in first. 2 ½ lengths ahead of Itsaknockout. But stewards reversed that order after they determined that Upstart interfered with Itsaknockout in the stretch. Todd Pletcher trains Itsaknockout for Starlight Racing. 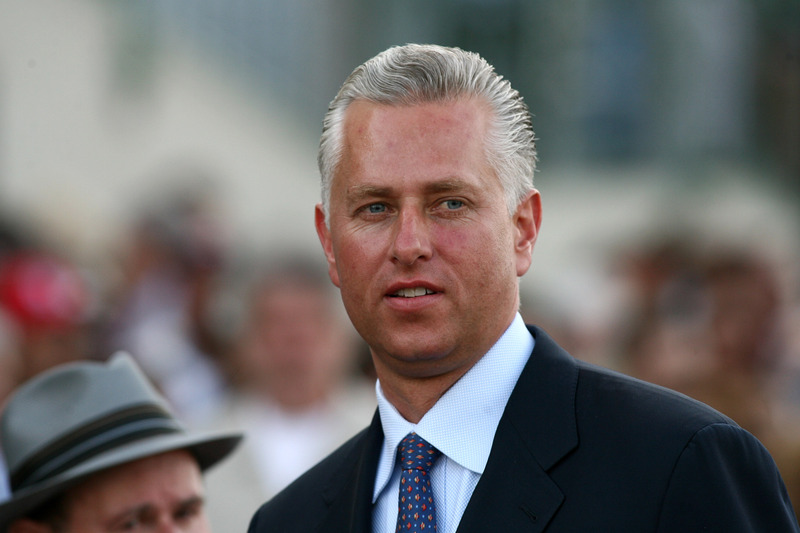 Pletcher was not at Gulfstream on Thursday. 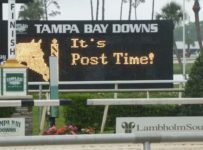 Assistant trainer Anthony Sciametta, Pletcher’s top lieutenant in Florida, saddled Itsaknockout. 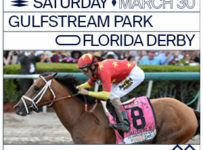 “If he comes out sound I’m sure Todd has a game plan hopefully to get him to the Donn Handicap,” said Starlight co-managing partner Don Lucarelli. 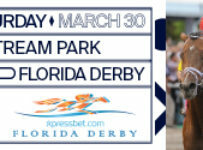 Confidently ridden by Luis Saez, who has been aboard for all six of the Lemon Drop Kid colt’s starts, Itsaknockout took command with a four-wide move at the top of the stretch and opened up down the lane to take the one-mile optional claiming allowance over a fast main track. 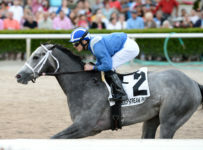 Following the Fountain of Youth, Itsaknockout finished fourth in the 1 1/8 mile Florida Derby (G1) at Gulfstream on March 28. 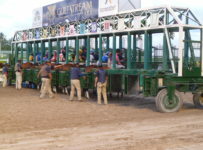 He finished ninth in the Kentucky Derby (Grade 1) at Churchill Downs on May 2 at Churchill Downs. 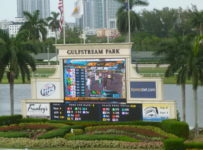 Breaking from post two, Saez allowed Itsaknockout to settle in third behind dueling leaders Sr. Quisqueyano and Bluegrass Singer through a quarter-mile in 23.48 seconds, a half if 45.80 and six furlongs in 1:09.81. Itsaknockout ranged up on the outside to launch his bid before drawing away under a hand ride. Favored at 7-5 in the field of seven, he returned $4.80. Elnaawi rallied for second with Just Call Kenny third. They were followed by Norumbega, Sr. Quisqueyano, General a Rod and Bluegrass Singer. 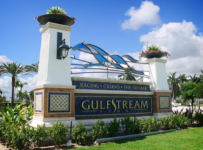 El Grande Rojo tied the seven-furlong Tampa Bay Downs record set by Catalina Red on Dec. 27, 2014. Catalina Red, then a 2-year-old, set the record in the Pasco Stakes. He won by a neck over X Y Jet, who had led most of the race. Ridden by Fernando De La Cruz, El Grande Rojo paid $22.80 to win in Wednesday’s conditional allowance/$32,000 optional claiming event. It was the gelding El Grande Rojo’s last race in his 7-year-old season. After stalking a blazing early pace by Tiger Tank, the winner blew past on the turn and showed no letup, winning by seven lengths from Aye Skipper. Purple Egg, the 2012 Inaugural Stakes winner, finished fifth in the six-horse field as the 9-5 wagering favorite. 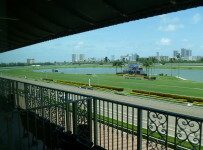 El Grande Rojo, at 10-1, was the second longest shot in the race. 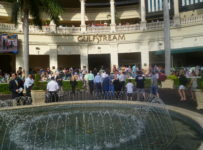 Aye Skipper was 45-1, leading to large payoffs that included $377.60 for the $2 exacta. 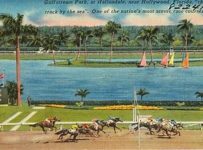 El Grande Rojo and Catalina Red are the only horses in the track’s 90-year history to win a seven-furlong race in under 1:22. “We thought he was sitting on a big effort,” said Joe Woodard, who trains El Grande Rojo for owners Billy, Donna and Justin Hays. De La Cruz was surprised to see the final time when he crossed the finish and said El Grande Rojo was barely blowing hard afterward. “He galloped out good. Everything was normal,” he said. El Grande Rojo has 12 wins in 44 career starts and has won $257,943.